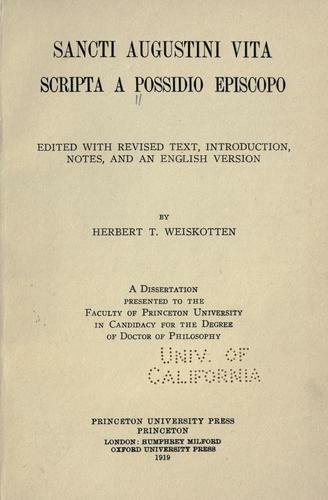 1 edition of Sancti Augustini vita scripta a Possidio episcope found in the catalog. Add another edition? 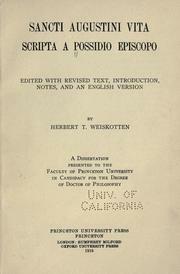 Published 1919 by Princeton University Press in Princeton .